"AC - Repair & Service" - This humid season get dry n cool with etcetera... Ask us for Best AC service , Repair & Maintenance !!! 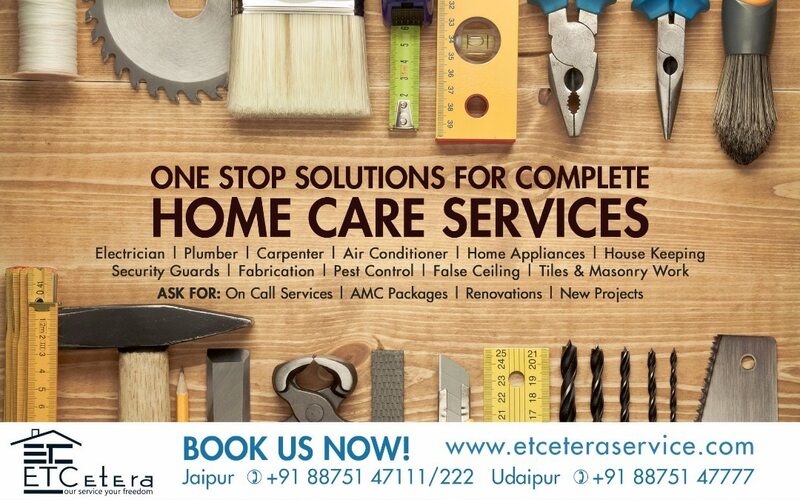 For more details call at : Jaipur- 8875147222 Or Download "ETCetera" App for Best Home Care Services at your doorstep. Check out "ETCetera" - https://play.google.com/store/apps/details #ETCetera #Jaipur . Air Conditioner Services ETCETERA is the fastest growing company that offers one point solutions which render the finest finish for every creation, whether commercial or residential. Our company undertakes supplying, installation and maintenance contracts for all types of Air Conditioners , including Central, Ductable Units, Split Units and Window Air Conditioners. We understand all your requirements and we work accordingly to get the best results within the specified time frame.